First let me wish you a Happy New Year. I hope all is well with you and your family. As you are aware, we are coming upon a new tax year and this means we need to file our 2018 tax reports. The IRS has announced that the 2018 filing date will start mid January for this year. Refunds are expected to be issued within 10 days of your filing date. 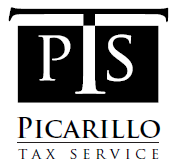 Of course should you owe any additional taxes you will have until April 15, 2019 to pay that tax. Office appointments will commence January 18, 2019. Some of the items the IRS may concentrate on this filing period are: Child Care Credit and College Tuition Credit. Be sure you have proper documentation to support the credits. Problem areas noted in the 2017 filings centered around Charitable deductions; Interest paid and reported and non-reporting/understating Rental incomes. These are high risk for desk audits. These areas are all subject to the new tax law rules for 2018.